The World Bank will be presenting a report to the bi-annual Ad Hoc Liaison Committee (AHLC) meeting on May 27, 2015 in Brussels that highlights the Gaza Strip’s economic status under Israel’s blockade. In 2014, Gaza’s unemployment rate reached 43%, the highest in the world. The youth unemployment in Gaza is at a record high of 60%. Because of the blockade and the Israeli army’s multiple heavy assaults on the region, economic opportunities are few and far between. Although 4/5 of people in Gaza, nearly 80%, receive assistance, many residents still fall far below the poverty line. Gaza’s exports are nearly nonexistent due to the Israeli blockade and since 2014, Gaza’s manufacturing has shrunk by 60%. 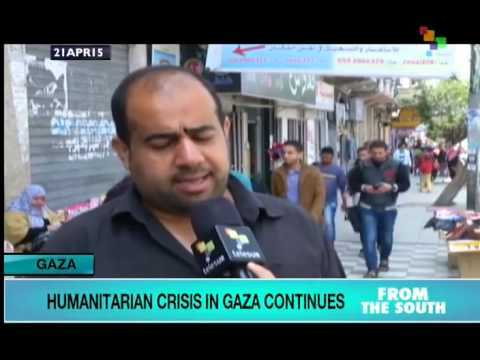 The economy of Gaza is crumbling and cannot support it’s 1.8 million residents. It is important to note that after nearly a year since the end of the assault on Gaza, the rate of dispursement of donor pledges is only at 27.5 percent. Under the current status quo, the people of Gaza will continue to suffer under unsustainable conditions. last summer Israeli war on Gaza left more than 2500 people killed and at least 12,000 injured. near 60% of build up areas of the costal region was hit by Israelsi ground, sea, and aireal bombardment. The whole summary of the report that will be presented by the World Bank can be read here.